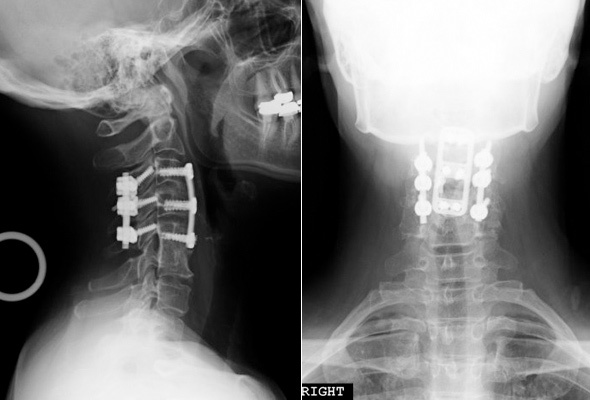 Posterior Cervical Fusion with instrumentation is often performed in addition to foraminotomy, laminectomy or laminoplasty. Besides stenosis and myelopathy, such conditions like neck fractures, cervical instability, and tumors are treated. The goal is to relieve pressure on the spinal cord and nerve roots, or to help stabilize abnormal motion or instability in the cervical spine (neck). 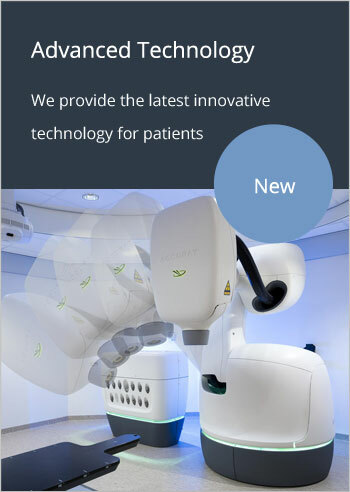 It is sometime used in conjunction with other surgery, such an anterior cervical discectomy and fusion to allow additional support and to promote fusion of the bones in the neck. It is called posterior because the cervical spine is typically reached through an incision in the back of the neck. During the surgery, the soft tissues and muscles of the neck are separated often using less-invasive techniques. The bone (called the lamina) overlying the spinal cord and canal is sometimes removed taking pressure of the spinal cord and/or nerve roots (thereby completing the ‘decompression’). After removing any necessary bone (lamina) and performing microsurgery to decompress the spinal cord and/or nerves, small titanium screws are placed in the bones that surround the spinal cord, and are attached together with a titanium rod. We then place chips of your own bone (taken from the decompression), or other bone-promoting material along the exposed bones and around the titanium screws to help the vertebrae grow together and fuse. Occasionally, we need to extend fusion (including the screws and rods) up to the back of the skull, or down to the upper part of the thoracic spine (mid-back) depending on your specific condition. It usually takes a few months for the vertebrae to fuse and complete fusion may take up to a year or two.